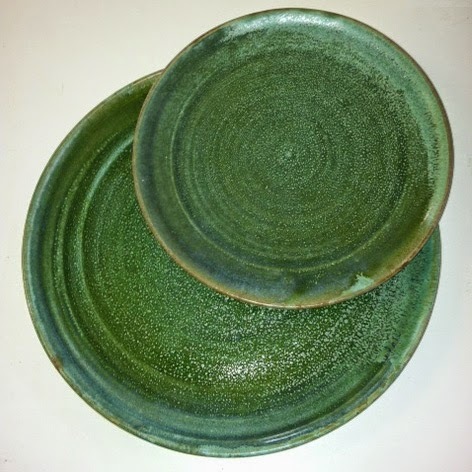 I just wanted to drop you a quick note to say thanks for a truely magical piece of pottery. I came across your frog mugs while hunting on the net for a new coffee cup. 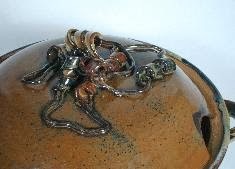 My sister ordered and shipped it for me and your lovely piece of pottery now resides in sunny Queensland Australia. 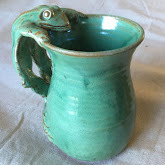 Visit my Frog Mugs page at http://www.funkwarepottery.com/p/frog-mugs.html for more information and a little the history of how I came to create these jumping frog handle mugs.